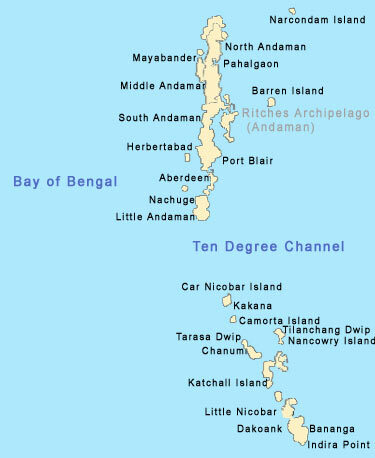 The beaches of Andaman & Nicober are the most secluded places that have been bestowed with all the picturesque and scenic beauty. The beaches of these islands are unspoilt by the crowd and the pristine water represents beauty of nature in its true term. Most of the beaches in this island are fringed with coconut and other tropical trees. The small islands in Bay of Bengal enjoy the status of a great tourist destination due to the calmness and pristine atmosphere surrounding it. The exotic beaches at Andaman & Nicober are the playful ones that allow the tourist swim, surf and take sun bath in the beach. The visit to the place always leaves the tourist with many pleasant and unique experiences. The corbyn’s cove beach is the one with beautiful background. The background is filled with the greenery of coconut trees. The soft sands in the beach and the calm water in sea attract many of the tourists for water sporting. Water sports like surfing, swimming and boating are famous on this beach. 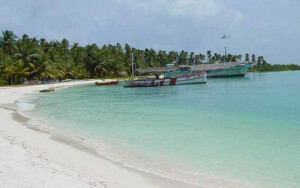 The beach resort on this beach enchants many to have a closer look from the place of accommodation. 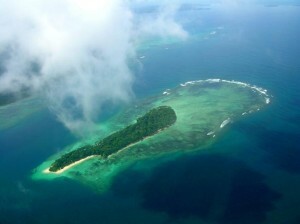 The beach resort, green background and calm sea all together make a beautiful beach at Andaman & Nicober. 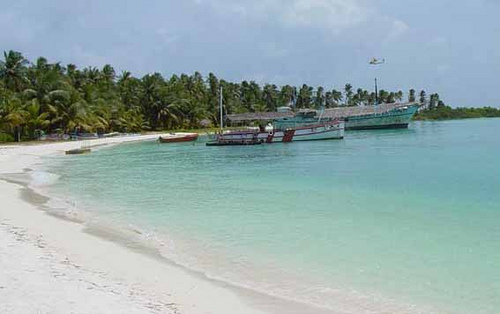 Radhanagar Beach located in the Havelock Island is also known to many as beach no.7. 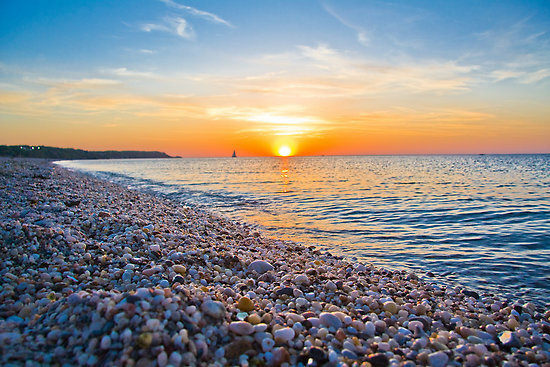 The beach has a delightful sight that resembles any fairy –tale background. 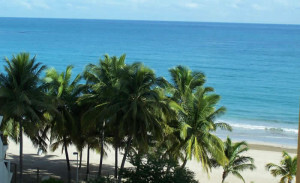 The backdrop of this beach is surrounded with many tropical trees. The greenery maintains perfect balance with the blue sky, silver sand and calm water and results in a great sight for the viewers. The beach at Havelock Island makes the visit to this island a great trip. The tranquility added beauty is the thing of heaven that any tourist can forget hardly. It is the right place to come out of all the worldly worries. This is a unique beach in Havelock Island that is more famous for elephant bathing. 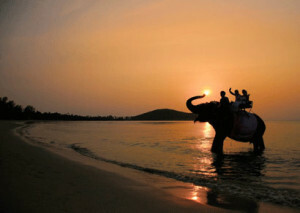 It is a not a popular tourist destination as it remains occupied with the elephants most of the time. But a great place for water sports like scuba diving, snorkeling and swimming. Many visit this place to experience the big animals playing in water and experience the beautiful water games on the beach. Though it is not a tourist place, one can go for spending time on this beach playing water games. Harminder Bay beach is 100 km away from Port Blair and one has to take a ship to reach the beach. The travel on the ship gives a great experience on water while the beach itself gives many opportunities for fishing. 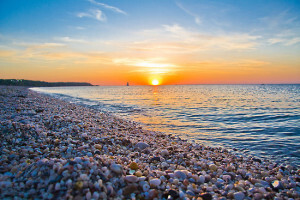 The scenic beauty of the beach is another source of splendid view. The peaceful and calm atmosphere enhances the beauty of the beach where one can have a relaxing experience. This beach is suitable for taking sunbath. Every part of Harminder beach attracts the tourists. They can enjoy the sand, the water and flora on the beach amidst the calm surrounding. This beach is mostly famous for the sea turtles. The calm surrounding attracts the turtles towards the beach and one can find turtles lying on the beach most of the time. It is only 12 km from Mayabundar and 240km from Port Blair. The calm and serene surrounding makes a perfect place for relaxing. It makes a great retreat to nature from the hustle and bustle of the city. It has the greenest surrounding as it is encircled by the forest. It is 87 km form Port Blair and one can get rest houses at Lalaji Bay. The place is great for camping with friends. The serene beauty of the forest and beach can be explored through great camping and adventurous stay at the beach. The evergreen forest and calm surrounding supports a great variety of marine life which can be another attraction for the explorers. For more information contact our coastal tourism travel team.